Cheesy Italian Zucchini Boats – A Must Try This Summer! Hello, friends! I’m starting off this week with another fabulous garden-to-table dish that is packed with delicious fresh veggies and is easy to make! Last week I made a scrumptious taco stuffed summer squash recipe that is definitely going to become a staple in my menu rotation. It was super simple to throw together and my husband really loved it! 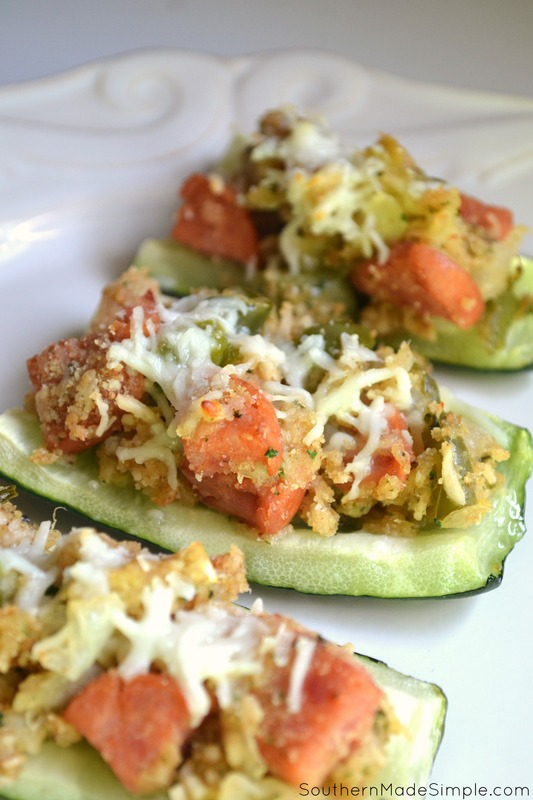 Riding on the heels of the stuffed squash boats, I thought I’d try my hand at doing something very similar with another favorite summer time vegetable – zucchini!